More details emerge from Saturday night’s arrest. UPDATE 4/28/15 2:30 p.m.: Without explicitly citing their current legal troubles, Migos have announced the postponement of their planned North American tour with OG Maco. Originally scheduled to kick off May 1st in Milwaukee, fans will now have to wait until July. Here is the group's statement: "Due to circumstances beyond our control, we are postponing this tour until July. We want to be at our best and make sure that we give 100 percent during the Yung Rich Nation tour. We would also like to say 'Thank you' to all our fans for their love and support." "On 4/18/15 Georgia Southern University held its annual Spring concert at Hanner Field House on Fair Rd, Statesboro. The featured act, Migos, contracted with Georgia Southern to perform at the venue. Security at the event was provided by officers of the Georgia Southern University Police Department, officers of the Statesboro Police Department, and deputies with the Bulloch County Sheriff's Office. The joint Statesboro-Bulloch Crime Suppression Team was also present. Prior to the arrival of the group only two arrests had been made for minor misdemeanors. Kiari Cephus (23 yoa, Lawrenceville Ga): Possession of a Schedule II Controlled Substance, Possession of Marijuana (misd), Possession of a Firearm in a School Safety Zone, and Possession of a Firearm during the Commission of a Crime"
Quavious Marshall, Kirschnick Ball, and Kiari Cephus of Migos are being held in Bulloch County Jail in Georgia without bond after an arrest outside a concert at Georgia Southern University, the Statesboro Herald reports. Migos were contracted to perform at Georgia Southern, and security at the event consisted of officers from the Georgia Southern Police Department, the Statesboro Police Department, the Bulloch County Sheriff's Office and the joint Statesboro-Bulloch Crime Suppression Team. The group's two vans were searched upon arrival, and officers recovered marijuana and multiple firearms. All occupants of the vans, about a dozen in total, were arrested following the performance, charged with possession of a Schedule II controlled substance, possession of marijuana (misdemeanor), possession of a firearm in a school safety zone and possession of a firearm during the commission of a crime. 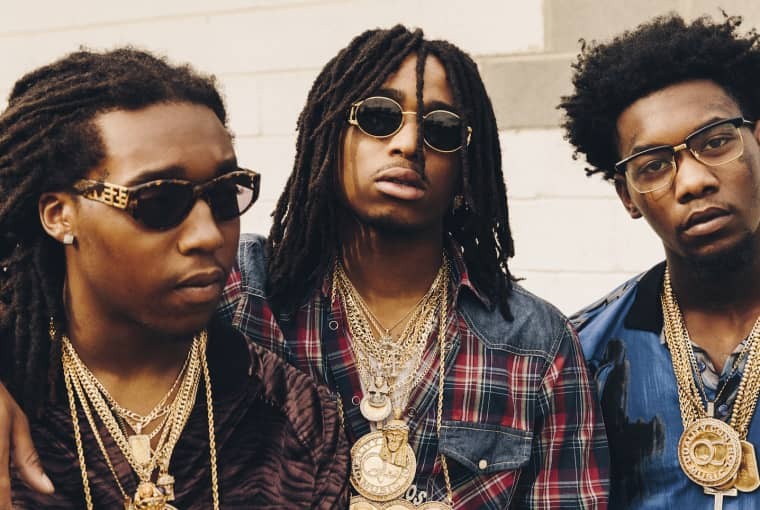 Migos let off a pointed statement near the time of arrest, and some fans have speculated that Statesboro police officers had planned to search and profile the rappers ahead of their concert. Details will be updated as they emerge. Migos couldn't have performed with stuff on them so that means 12 had a search warrant in advance. Profiling. @nomizeichner SPD called in 30 additional cars for the show and they all just rode around town all day. Got the feeling they were anxious.